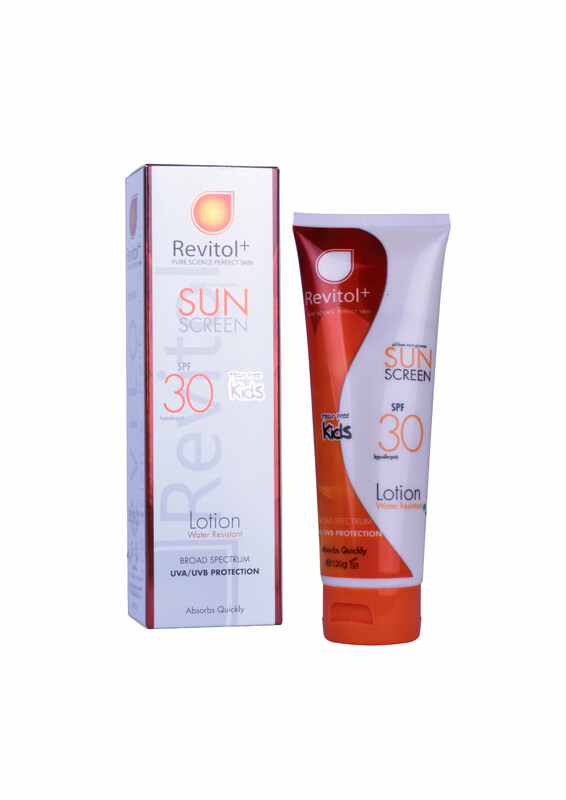 Revitol+ Kids Sunscreen Lotion : Broad spectrum UVA/UVB Protection. Oil-free Non-greasy lotion absorb quickly by the skin.
? 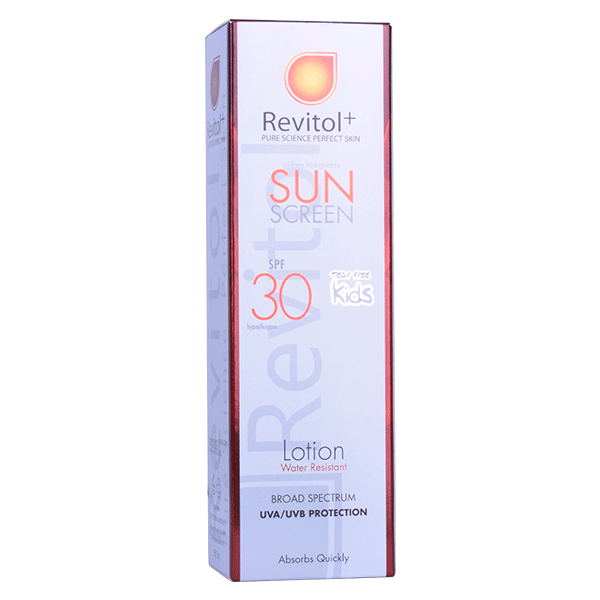 Apply generously and evenly to all areas 15 minutes before sun exposure.? Children under 6 months of age: ask a doctor.? Reapply frequent or after towel drying, swimming, or perspiring. Used to protect skin from harmful sun rays. Call Us now : 22211100! Qibla - Block 9 - Ahmed Elgaber st Zomoroda Tower 19th floor. © Copyright 2018 pharmazonekw.comDesign & Developed by Propagandakw.